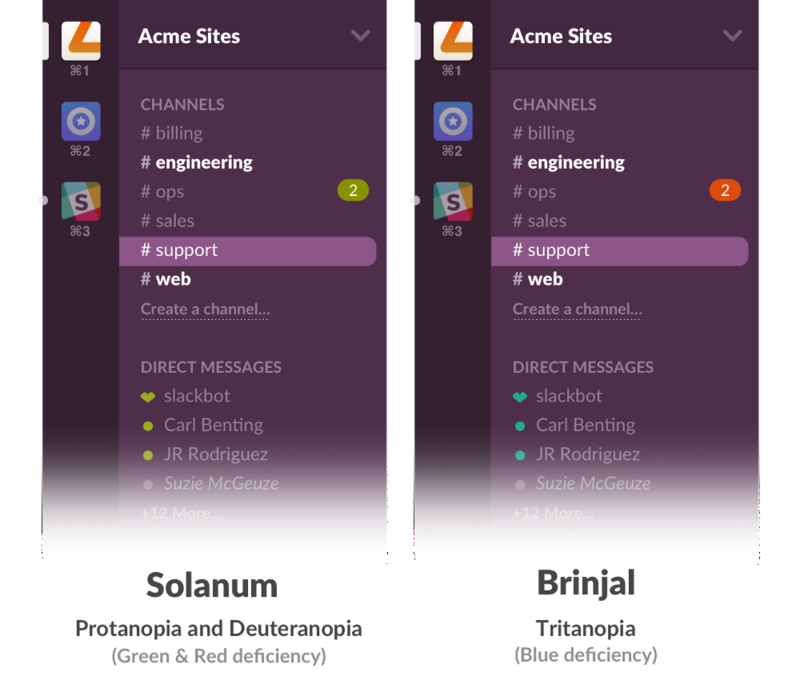 For our color-blind friends, a couple of themes people on our team here at Slack have found useful. In your user preferences (the menu at bottom left, next to your avatar), simply go to Preferences > Sidebar themes, and choose the “Customize your sidebar colors” option under the default themes. Then copy and paste the values below into the box.